Current retail dealers listed above are endorsed by us and we have a great relationship with them. If you would like to become an authorized Centerfire dealer please contact us by email. From our first day of business in 2003 our plan has been the same… “offer a quality antenna, built in the US, at a fair price”. One of ways that we achieve that goal is to sell to you directly from our website. 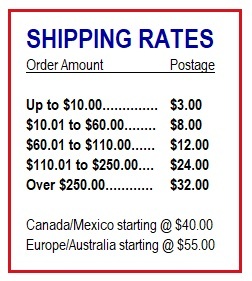 This cuts out all the extra shipping costs and commissions that a dealer would charge. 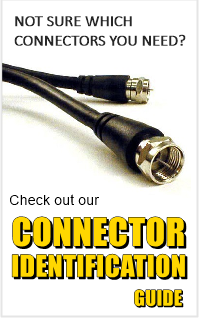 It also provides our customer with a superior product and personal service at a cost comparable to an imported antenna that must be shipped and stored around the country in warehouses. We have had trouble with unauthorized dealers and resellers as long as we’ve been selling our products online. Unauthorized resellers will steal our photos and text that are on our webpage or Amazon listings to create their own listings in an effort to make themselves look legitimate. They’ll set a price that is extremely high, often double the price that we are selling for. They do not keep any of our products “in stock” so, when they do sell an antenna, they will quickly order the same antenna from us and provide the buyer’s address as the shipping destination. This forces us to become a “drop-shipper” for them…in other words, you pay more and they disappear with money they did not earn. They add no value to the antenna and are just doing this to take money from unsuspecting buyers. We will attempt to get the fake page or listing removed as soon as we know it exists. Unfortunately they are becoming more common and we have no way of knowing about them until we find them or someone complains. It’s highly likely that people are viewing those sites today and could even be buying from them right now. So please double check with us if you unsure who you are dealing with and don’t pay too much.